I wrote my first book organically five years ago (which remains hidden in a shoebox). I got up Monday through Friday and free-wrote from 4:30am to 6:30am and in seven months I had that first novel. My second book: written organically in the wee early morning hours but with a basic story idea. My third book: written with a detailed outline, character worksheets, professionally edited. My fourth book: written with a detailed outline, character worksheets, story bible, and went through several editing, agent, and beta reader passes. My fifth (and last book): written under a contract with a 10-page outline, extensive character worksheets, story bible, character arc/series arc outline, went through in-depth revision process with developmental and copy editors. Pheww…that all sounds exhausting when I read it. I dreamed of flinging away the processes and getting back to writing organically with my sixth book like I had when I wrote my first book. I romantically imagined myself in the dark morning hours all alone facing white pages. Tubs of coffee. Notepads and slippers and unbridled words. I would wander and discover. I would let my muse drive me (in the tradition of Shakespeare in Love). I would escape into the fiction dream and live on words alone! And it was glorious. I rose like a Phoenix in the golden sky. I gave new life to old wings. Then I crashed and burned. My story fell apart. Wonderful and fantastical events and creatures came to life….that had nothing to do with the story of the main character’s transformation. Too much was happening. Too many people had secrets. Too many characters had no purpose. Too many events had no meaning. Wait a minute…what was this story about?? I had lost it. And I realized why. Because I had evolved and I couldn’t go back. Like first kisses. First dates. A firstborn child. You can never go back and experience it the same way ever again. You know what happens and how it works. You can’t un-know it. And with this, came the knowledge that I am not a write-by-the-seat-of-my-pants gal. I need structure and organization and a path to THE END. At first I was sad but then I realized if I hadn’t evolved my writing wouldn’t have either. I wouldn’t have strengthened my craft and knowledge about how to write a good story. I couldn’t de-evolve. So I decided to embrace my evolution. Yeah. It's like that. All at once. I looked back at my last novel and realized something. When I submitted that novel to my publisher within a six month time frame, I knew it was the tightest and most polished draft I had ever written. I’d brought all that I had learned over the past few years in one massive punch. 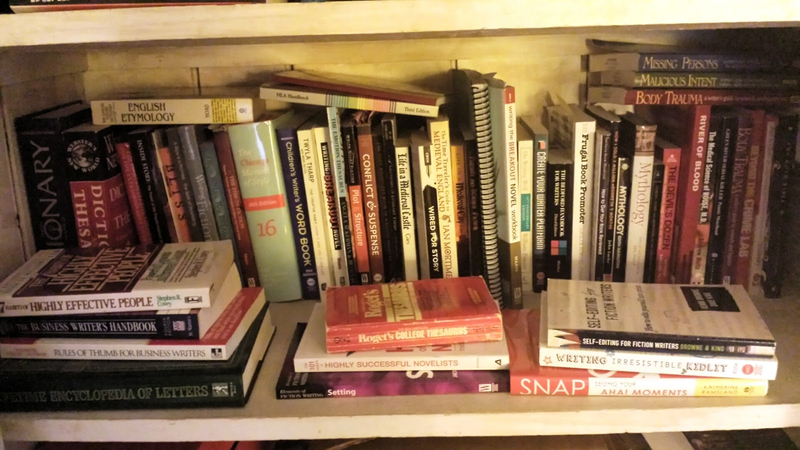 I’d fully accessed my writer’s toolbox – a box now full to the brim with knowledge I’ve gained from editors, deconstructing books, classes, conferences, and my own application. And I suddenly knew that I had not written this book alone – many people contributed to my success of it. 1. Create a detailed story outline that is solid and ties in the main character arc across the plot points. 2. Write a pitch paragraph that includes the premise of the story. What is this story about? 3. Create character worksheets and journal in each character’s voice. 4. Do what world building I can (the rest will be found along the way). Draw a map. Create a story bible of setting, creatures, magical elements, history, etc. *Inner turning point: in each scene which the scene’s point of view character also changes as a result. 6. At the end of each chapter write a one-line sentence about it so when the book is complete I will have a strong synopsis (and that’s good for back cover copy too). *Character development relating to consistency with speech. *Character reactions. Ask: How would each character react in each moment? 8. In writing, allow for discovery but check that it ties into the MC’s character arc and story premise. This process may not be organic but it did allow for organic discovery within the parameters of the story. With my most recent book I wrote on a tight deadline, I had new characters show up and old characters leave. I combined characters. I changed how information was found. 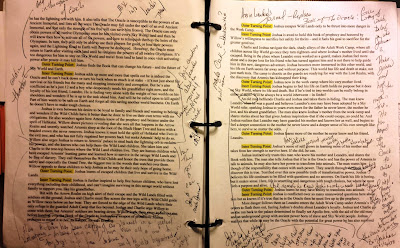 But all the magic that burst on the page was aligned with the plot points and connected to the growth of the main character. And I learned that what I so longed for again no longer worked for me. And the myth of the angst-filled, free-flowing, genius writer hanging his hat alone in his cave is just that – a myth. We can write alone but we can’t get published alone. And I’m glad. Sometimes you get what you need, not want you want. And that’s a good thing. 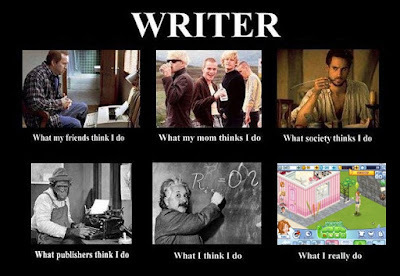 I wonder what kind of writer I will evolve into next? How have you evolved in your writing process? Interesting! Thanks for sharing your process. I love your revision guide. Much better than the haphazard process I follow. Thanks Andrea! Although it did take a haphazard route to find the process :) And maybe that is the whole point and what we need to do as writers to find our own way that works. I have also gotten much more into planning and outlining the further along I am in my career. I would never claim it's the only way, but it is an efficient way to work, which is important if you are actually trying to make a living off of writing! Thanks Chris. It is all about what works best for each individual writer to succeed. Best of luck! I went the opposite way. I started as a planner until I realized my plot defies writing down until actually drafting. So now I pants. I do, however, set myself some rigid rules in regard to how I go about pantsing, all so that I don't crash and burn. It might not look like much of a system, but it works for me and gets me finishing books. Misha, I am interested to see more of the rigid rules you set yourself as a pantser. I started out as a pantser and now have swung the other way but would love to have a blended combination that works. And YES indeed, whatever works for you! I need a process more like yours! Maybe not all the points, but a story bible. I've previously written magical realism with fantastical elements in a real-world setting, but the book I'm trying to write has more complicated world-building. 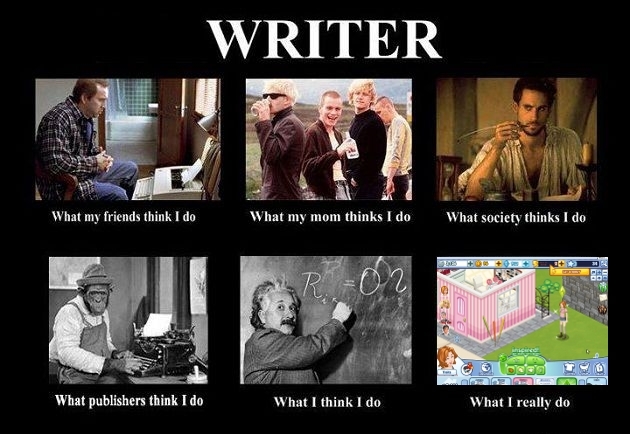 I can make up plot as I go, but not the world... The world has to be there before the characters can live in it. Kell, I agree! I have stepped back from writing at the moment to do more world building. When I can see and visualize the world in all its wonder than the characters come more to life in it. I often wonder why I challenge myself to write fantasy, but keep getting drawn back into it as my mind shoots rockets with the possibilities open in writing fantasy. Not sure I would do well grounded in reality. LOL! I actually taught a class this spring on the Foundations of World Building. I use it as a guide for myself when creating a new world. The one thing rule that keeps me from not feeling overwhelmed is that we don't need to go overboard and describe, say, an entire town when often one street can give us the flavor of the place. Like telescoping inward. Good luck! My process evolves every single time. Great post! Like you, I once was able to sit down and start writing with only a vague idea where I was going. Now, with a few published books under my belt -- and the experience that comes with them -- I can't do that anymore. I don't have the time or energy to flounder for months and then realize I have no idea where the story is going. However, I have never been able to plan as much in advance as you obviously do in your process. There are many, many things that still need to organically develop in my first draft -- things about my story I don't discover until I'm writing it. With my last (non-Eighth Day) manuscript, one of the antagonists didn't come into focus until I'd mentioned him obliquely three times -- and THEN I got slammed in the face with how I NEEDED him as an early antagonist to bridge the gap until the bigger bad guys entered the scene. He invented himself, and he was never part of the plan. (And he ended up being a favorite character, too.) Of course, in revisions, I went back and made him more prominent from the start. But facing two ideas for a new project, and not knowing much about either, I think I might try some exploratory outline writing to find out which one actually has a workable plot and a MC with a character arc. Dianne, thanks for sharing your antagonist tale! I also love when characters appear (after knocking you on the head) to have a role you never planned...and then I've also found characters who left that I thought were central in the beginning. 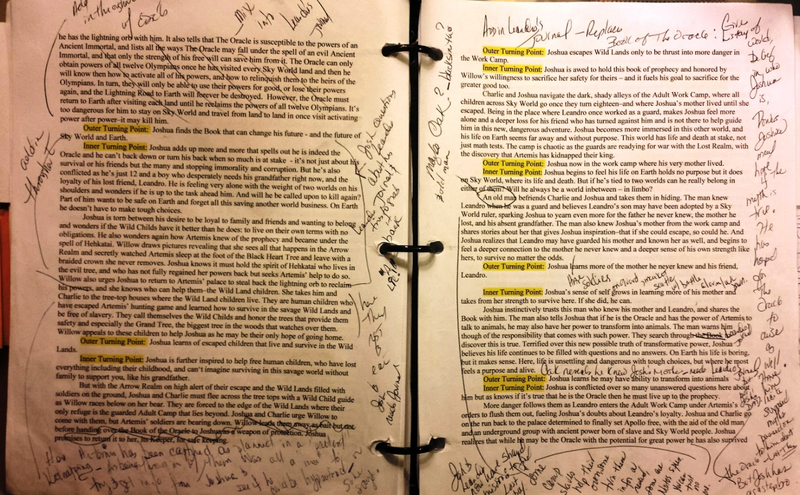 I'm doing some exploratory writing now for my new book as the plot is complicated - and am using Plot & Structure by James Scott Bell to help me organize the story better. It sounds like a good fit book for your outline writing to find a workable plot. Great writing resource book I recommend! Also, Wired for Story by Lisa Cron is fantastic for revision and especially developing character arcs.Have fun with it! This is a wonderful post, Donna! I'm bookmarking this one. I'm trying to loosen up and trust my inner muse, but the fact is: I love this stuff! Organizational flows help SO much. Thank you for sharing the details of your process. It's inspiring!